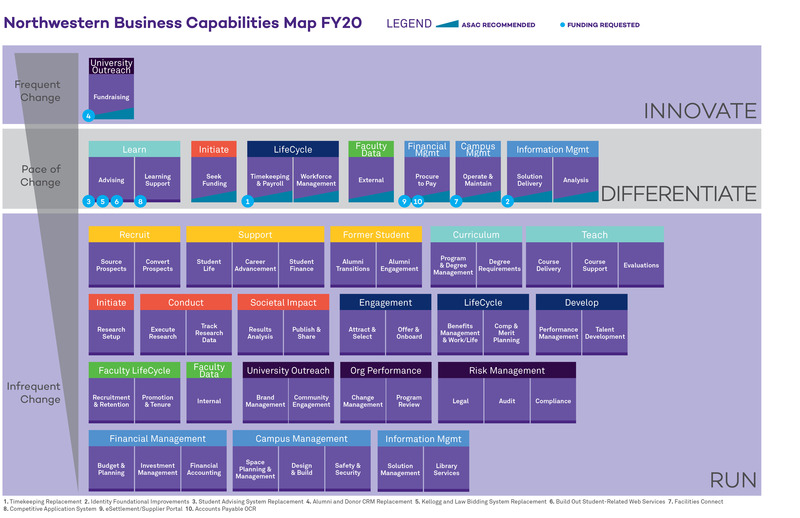 Business Capability Analysis, in simple terms, describes the distinct functions of the business. It can be performed to assess performance, determine the risk areas of the business, and prioritize investments, especially in terms of time, effort, and money. 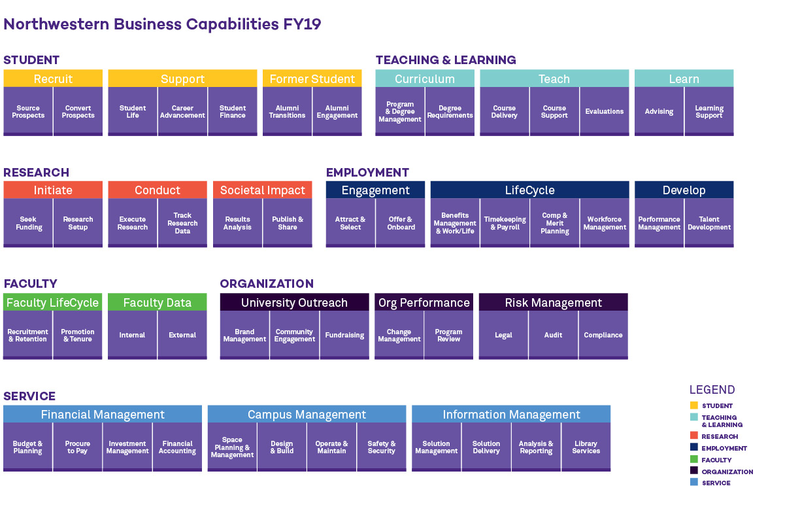 This analysis is accomplished by first identifying the University’s set of core business capabilities and supporting systems and then determining how people, processes, and functions are integrated to enhance Northwestern’s values. The following image describes the core set of capabilities Northwestern requires to execute and fulfill its mission. Click the image to view a larger version. The following image highlights the key enterprise systems that enable many of the business capabilities. 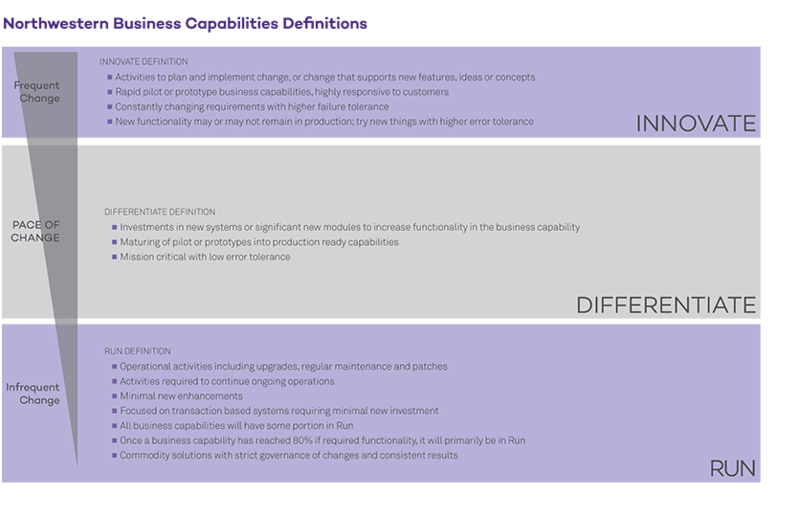 In some cases there are multiple systems that facilitate a single business capability. There are also some business capabilities that do not require a supporting system. Click the image to view a larger version. 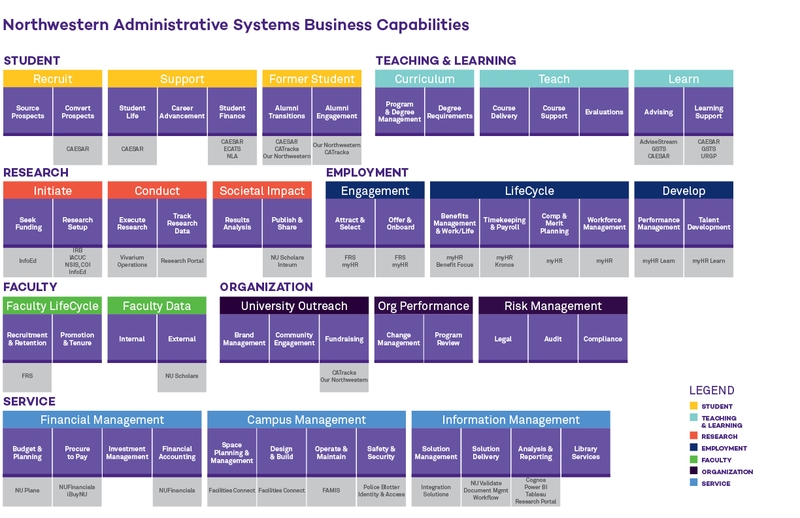 The following images outline the process of modeling what Northwestern does to reach its objectives rather than how it accomplishes its business processes. 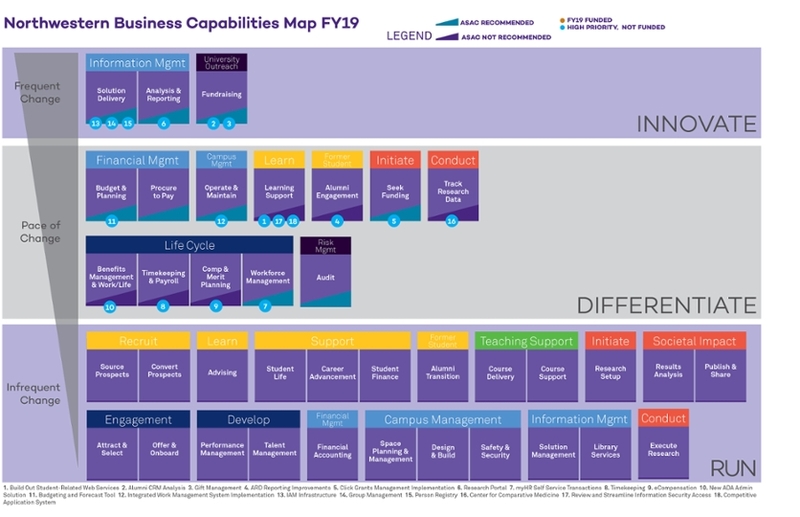 The maps deliver the scope and context needed for business process improvement, identifies where projects are required, and defines the three levels of change. Click the images to view a larger version.